Many people have different ways of celebrating Easter especially in today’s diversified petri dish of a culture. However, one cannot deny the fact Easter is about the celebration of life, and bunnies, but that would be one silly article if I made 12 quotes about bunnies. 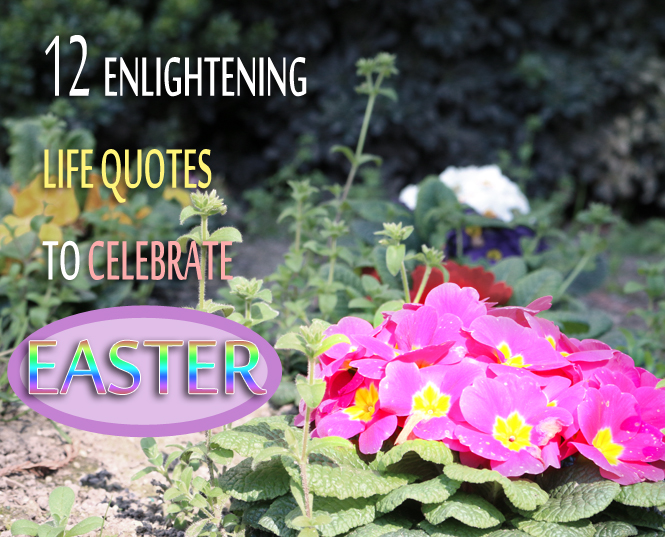 Since bunny quotes are off the table, today I bring you 12 enlightening life quotes to celebrate Easter of 2014. So color-up your Easter eggs, eat your Easter dinner, and wear your Easter hat (if that’s even a thing), and let’s all have a Happy Easter! If you really like Easter you will share this on Facebook, Twitter, Google Plus or on the social media platform of your choice. Also the Easter Bunny will show on your house if you do that. I am super cereal! Also you can follow me on twitter for some positive personal tweets. If you want instant notifications on our recent posts consider subscribing to Yawn Central with the subscription platform of your choice.